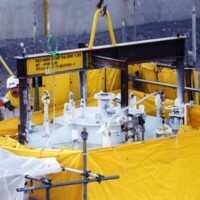 "1 photograph; 8.8 x 12.9 cm. 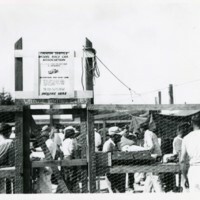 People in fenced off area for model race car association." "1 photograph; 20.3 x 25.3 cm. 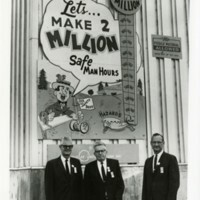 Three men posing for picture in front of a safety sign." 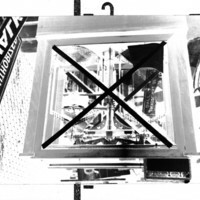 "1 photograph; 20.3 x 25.9 cm. 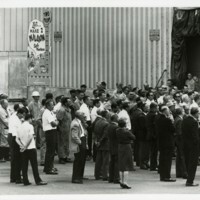 Man talking with workers with microphone next to door." "1 photograph; 18.2 x 24.7 cm. Large group of people gathered. " "1 photograph; 20.3 x 25.5 cm. 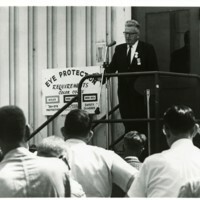 Large group of people gathered." "1 photograph; 10.5 x 8.3 cm. 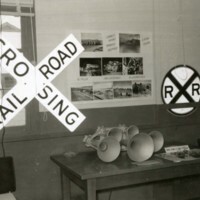 Railroad crossing signs and loudspeakers on display." 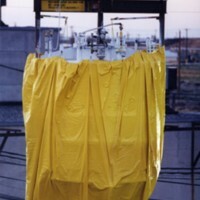 "1 photograph: col.; 10 x 15 cm. 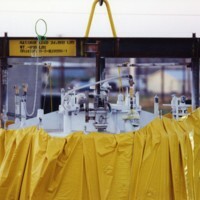 "1 photograph: col.; 12.7 x 17.8 cm. 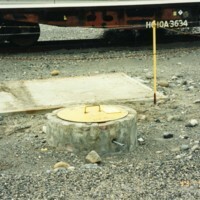 Concrete pad behind a container and caution sign with railroad tracks in the background." 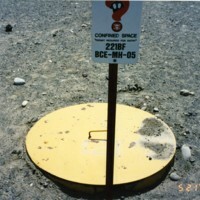 ""Confined Space 221BF BCE-MH-05"" sign above a metal cover over a hole." 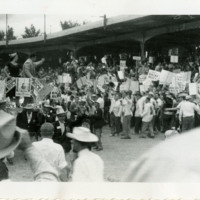 View of a campaigner standing on a man-supported platform, surrounded by lobbying "Back Buck" march in the Pendleton Roundup Stadium. Noted on back of photo, "705." 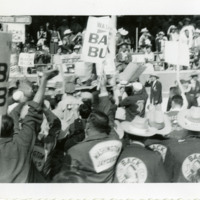 View of a march of campaigners/supporters holding "Back(s) Buck" signs in the Pendleton Roundup Stadium; one campaigner's jacket features "Washington Jaycees." 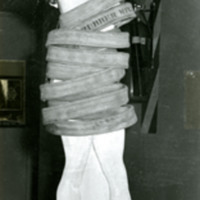 Noted on back of photo, "705." 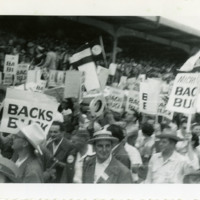 View of a march of campaigners/supporters holding "Back(s) Buck" signs in the Pendleton Roundup Stadium. 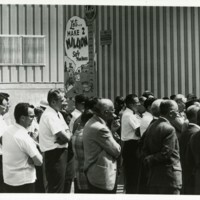 Noted on back of photo, "Lobbying for proxy election, 705." 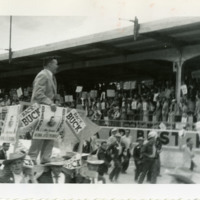 View of a campaigner standing on a platform carried on the shoulders of several men, holding "Back Buck" signs in the Pendleton Roundup Stadium. 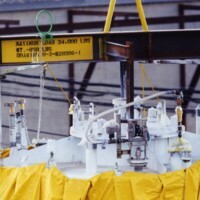 Noted on back of photo, "Natl. [National] JC Proxy (?) 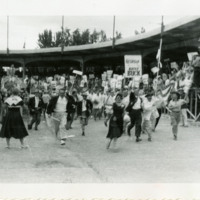 on parade 1955, 705." View of a crowd with political signs heading out into the grounds of Pendleton Roundup Stadium. Noted on back of photo, "Parade of States, 705."